The has never been a better for any business currently paying for electricity from the grid! It is best if you own the building you are in and don’t plan to move within the next 10 years! 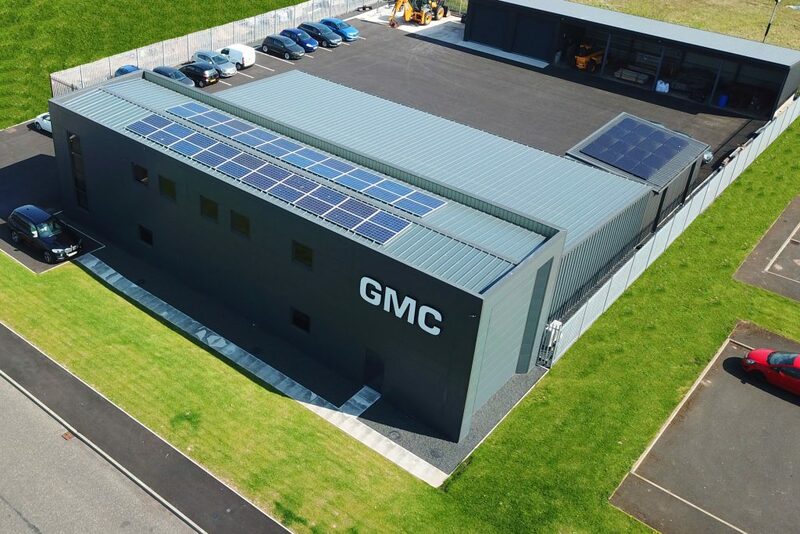 GMC-HQ is powered by the Sun! 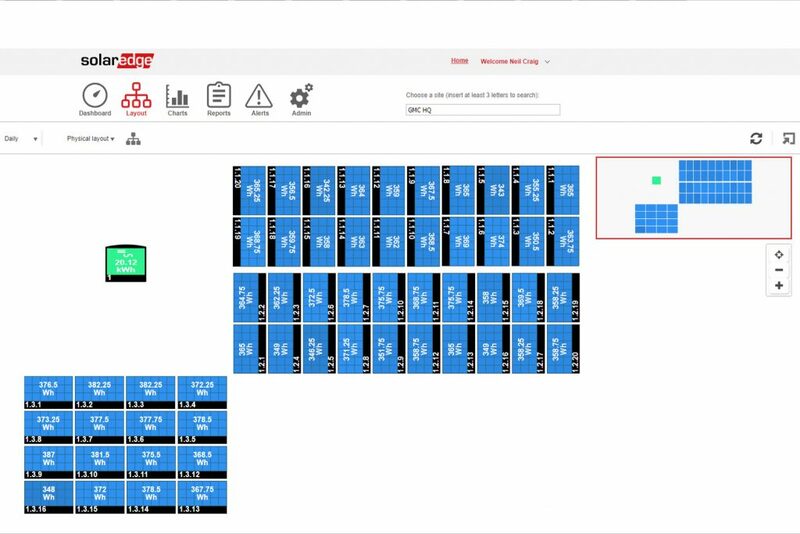 The above screen shot from the solar edge online monitoring portal shows what each solar panel is producing at anyone time! 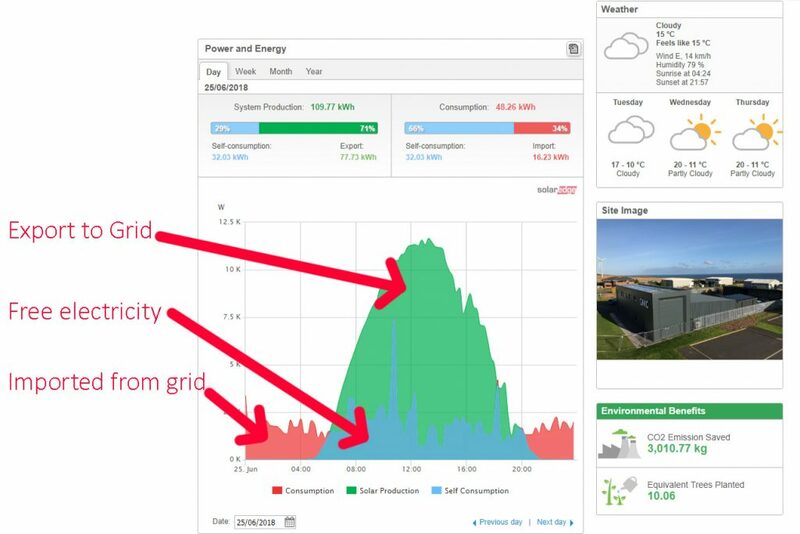 The above screen shows the consumption monitoring portal showing how we use our energy and exactly where and when we are using energy! The above information tells us that generate way more than we use. On this day, generating 109kw’s and using 48kw’s. 32 of the 48 came from our own system at Zero cost while still getting paid 4p for generating it!